Operation Threshold provides Special Supplemental Nutrition Program for Women, Infants, and Children (WIC) services in Benton, Black Hawk, Bremer, Buchanan, Chickasaw and Grundy Counties. WIC is a federally funded program that has been providing food assistance, nutrition education and referrals to other social services agencies since 1974. Operation Threshold offers Tenant-Based Rental Assistance (TBRA) to help families and individuals find safe, decent and affordable housing. The agency also owns and manages rental units in both Independence and Waterloo. 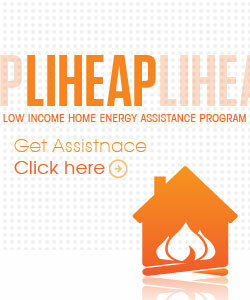 Operation Threshold’s Energy Assistance programming (including the Low-Income Home Energy Assistance Program [LIHEAP]) is designed to assist low-income families meet the cost of home heating. The mission of the FaDSS program is to improve the lives of families at risk of long-term welfare dependency or family instability by creating opportunities for self-sufficiency. The Family Development and Self-Sufficiency Program (FaDSS) is an intensive, voluntary, one-on-one case management program to assist families with transitioning from welfare to work. 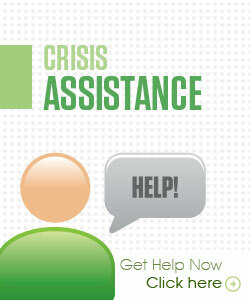 The program assists families through intensive case management including home visits, support (referrals, groups, linkages, and advocacy), assessment (identifying and building upon strengths), and goal setting. Families receive personal case management services designed to identify family strengths and needs. Family Development Specialists provide referrals and support while families work toward the goals of employment and self-sufficiency. LIHEAP supplements the high cost of winter heating for low-income households, provides emergency furnace repairs or replacement for income-qualifying homeowners and offers assistance with telephone costs to those that qualify. Households with income levels at or below 175% of the poverty level are eligible for benefits. Eligible income amounts may be increased for households with significant medical expenses. The Buchanan County Nest program is an incentive based parent education programs for income-eligible families. Nest is available for pregnant women, post-partum mothers, and their children up to 5 years of age. Participants earn incentive points for healthy behaviors such as keeping doctor appointments and attending parent and preventative educational classes. The points are then redeemed for incentive items such as diapers and wipes. Operation Santa Claus is a toy program for low-income families. Toys are donated by local community organizations, families, churches, and individuals. In FY 2007, Operation Santa Claus assisted 373 children from 172 families. Prior to the start of the academic year, school supplies are collected and distributed to qualifying families. Please call for a list of school supplies. Share the Warmth is a winter coat distribution program. New and gently used coats are collected and distributed to children and adults in need. Donations of children’s coats are particularly appreciated! 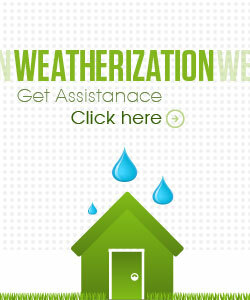 The Weatherization Program provides energy efficiency-related home maintenance assistance to low-income homeowners and renters. Available Weatherization benefits include the installation of insulation, furnace repair or replacement, water heater repair and/or replacement, safety checks for gas leaks, and/or replacement of old refrigerators and freezers.